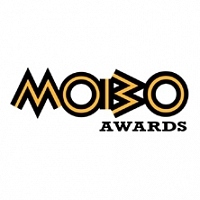 Certain award events can bring a deep sigh to even the most avid music lover but this cannot be said for the MOBO Awards, which is set to have a lavish ceremony to celebrate all that's been great in 2009 for music of black origin, or MOBO (eh eh). The event - the first to take place outside of London - is taking place on 30th September at Glasgow's SECC and popular DJ and Ex Grange Hiller Reggie Yates is hosting the event. He will preside over an array of stars, both those there as nominees and those set to perform, or maybe even lucky enough to be both. Among the confirmed acts performing include JLS, N-Dubz, Tinchy Stryder, Diversity, Flawless and the one and only Jermaine Jackson. With other acts to possibly be added to an impressive list it is set to be a great year for the MOBO's, and with the sad passing of Jermaine's brother Michael there is sure to be a different feel to the proceedings. The official website has a full list of nominees if curiosity kills you and if all that tickles your fancy just click the link below this very article to get set up with some tickets. They may sell up quick though so hurry if you wanna make the MOBO's mofo!